Today’s tip for building mindfulness is – do a beginner’s mind activity! Consider this scenario: you’ve just landed from Mars. You have never seen or done any of the usual daily Earth-based activities. How do you approach doing routine daily tasks? Probably with curiosity, interest, and exploration. This is a basic concept of mindfulness. It means seeing everything with fresh eyes. We are able to see things as they’re happening right in the moment. In the process, we leave behind all of the information we layer over our experiences. Wondering how you can activate the beginner’s mind activity for yourself and your child this week? Listen in with Dr. Jen as she shares some practical ways to give it a try! 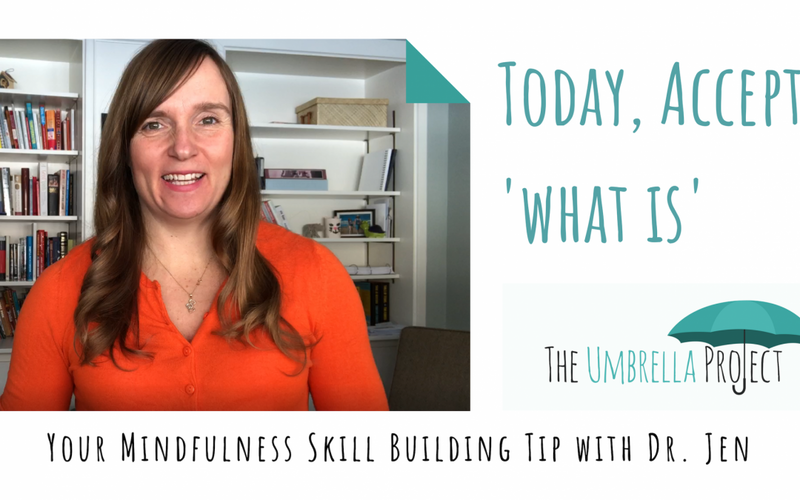 Today Dr. Jen talks about one of the most foundational principles of mindful parenting. That is: become a better listener for your child. Most of us divide our attention every day between different tasks. Becoming a good listener for your child can have a powerful impact on their well-being and help them learn how to be mindful themselves. Dr. Jen discusses some approaches to use in becoming a better listener, such as having important conversations with your child in an environment where you’re not distracted. 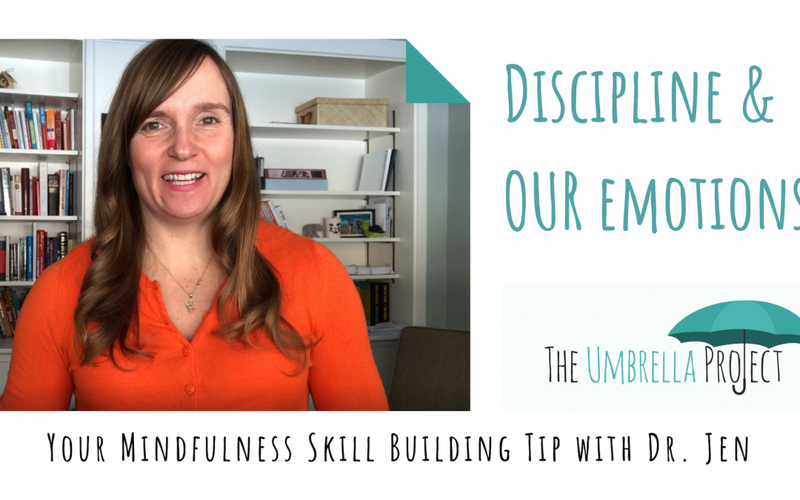 Today’s tip for parenting from a mindful perspective is… try not to allow your emotional state to dictate the consequences or discipline that you give your children. Feelings like anger and frustration are very normal parenting feelings. Kids respond better when they can predict what will happen when they behave in certain ways. This makes it important not to parent from a place of anger or frustration. To help you achieve this, put a space between your emotional reaction to your child and the discipline that you’re giving them for a behaviour. That might look like walking away for a few minutes and taking a deep breath. 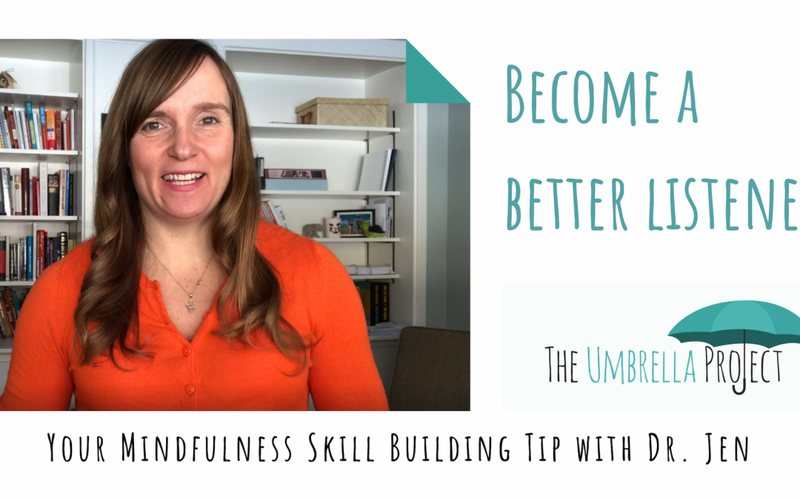 Learn more with Dr. Jen in today’s video tip! Rather than wishing things were different, accepting ‘what is’ can help to boost your child’s happiness and contentment. It is so important to help your children set realistic expectations of what they can achieve. 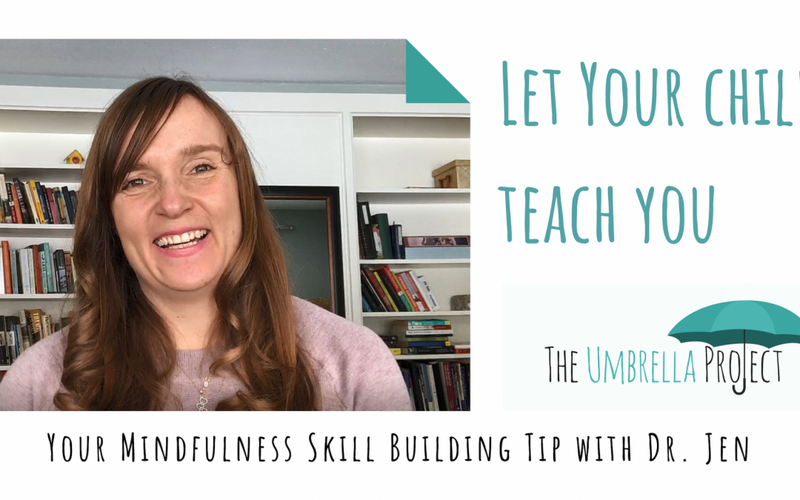 This makes it easier for your child to be mindful of their capacity, thoughts, and feelings. Let your child know that they can accept ‘what is’ and still work towards positive change. Dr. Jen explains more in the video below. We want to hear your stories about Mindfulness this February! Head on over to our new Instagram account (@umbrellapjct) for a chance to WIN this month! 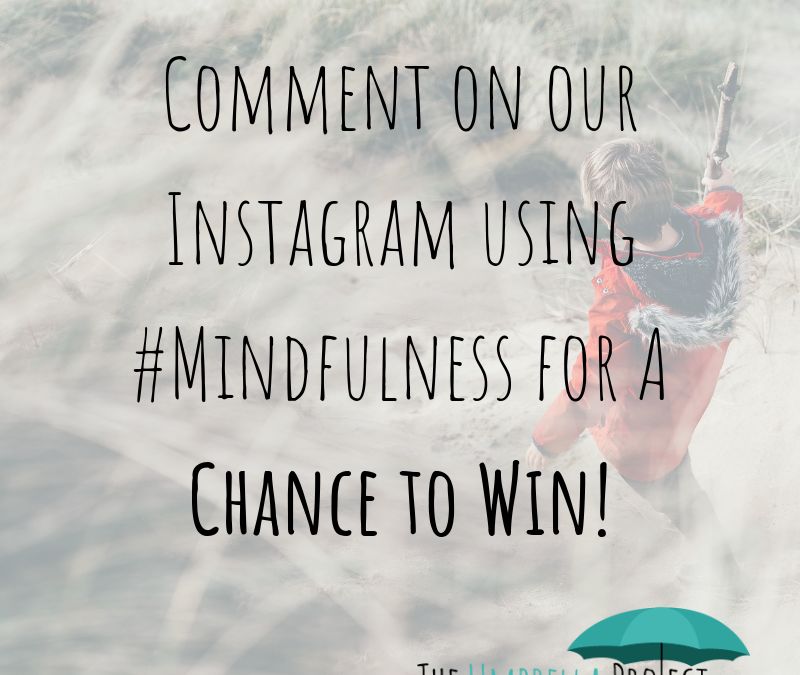 Simply comment on any of our posts using the hashtag #Mindfulness. Share with us how you are practicing mindfulness this month at home or at school. Comment using the hashtag any time before 12pm on February 28th 2019 to be entered into the contest. We will randomly select three winners to receive a book by Toronto-based author Sarah Kraftchuk. Her books, like Love to be me!, encourage the world to become a kinder place by beginning with self-kindness. Any parent who has tried to get from point A to point B quickly with a young child knows – children are naturally very mindful! Kids often want to stop and examine every little point of interest along the way. In these moments, your child is absolutely absorbed in the present moment. We can learn a lot from this perspective. It reminds us to pause and be curious again about the cool little things happening all around us! Listen in with Dr. Jen to learn more.